Summer may be coming to an end, but the fun is far from over in Eureka Springs. August is a great month to plan one last getaway before school starts. Check out these great August things to do in Eureka Springs! For a complete list, visit our Eureka Springs Calendar of Events. Bead artist from across the country descent on Eureka Springs for the annual Beading in the Ozarks convention at the Inn of the Ozarks Convention Center. Classes, workshops, demonstrations and more! Come get your craft on! Three day VW festival, swap meet and tourcade! This fun and funky festival is fun for all ages. Stop by the swap meet and VW show at the Best Western Inn of the Ozarks. Join us downtown at 3 pm for a Tourcade (parade) of classic Volkswagen cars, trucks and vans. Bring your banjo and enjoy the fun! Stop by to watch some fun, four-stringed banjo performances or bring your own and join in on a jam session. This is a toe-tapping good time for all! There are many great things to do all year round in Eureka Springs! Don’t miss our complete list of Eureka Springs Attractions. 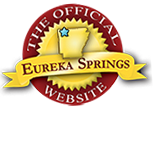 For a complete list of lodging in Eureka Springs, please visitEurekaSprings.com. Don’t miss our Calendar of Events for the latest events in the Eureka Springs area! This entry was posted on July 27, 2017 by service424 in Arts & Culture, Attractions, Family Fun, Festivals, Fun Downtown, Things to Do and tagged Attractions, banjo, banjo rally, Beading in the Ozarks, bluegrass, calendar of events, VW weekend.